Beyonce is on a heavy promo trail for her new “Pulse” fragrance. Yesterday (Sept. 21) the mommy-to-be had a launch party at The Dream in NYC, and today (Sept. 22), she premiered her scent at Macy's Herald Square in New York City, where she signed autographs and posed with young fans. 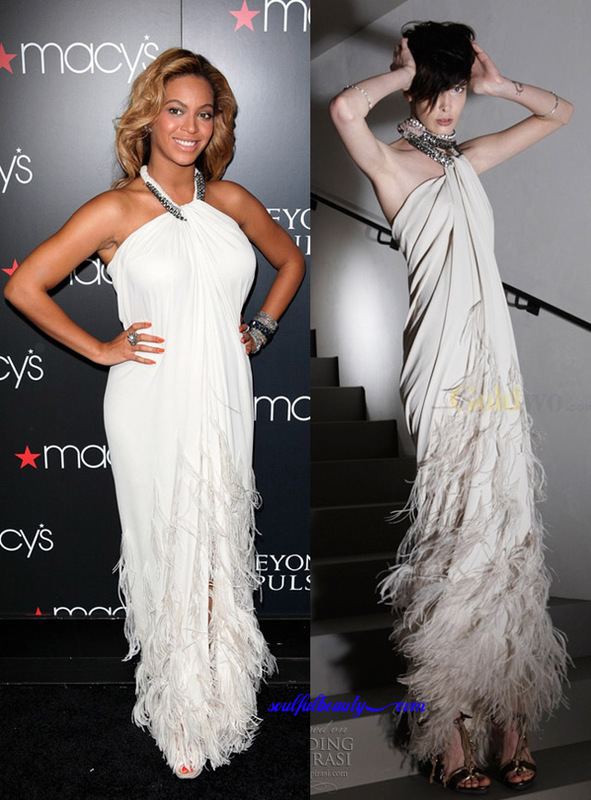 Switching things up from her usual icey blue “Pulse” fragrance theme, Beyonce went for all white, wearing an elegant jeweled color Lanvin gown with feather details. She paired her look up with white Nicholas Kirkwood sandals.